Recently I created a new worksheet. No two estates are alike. It’s pretty much impossible to identify every talking point or action item for every conceivable situation. But I feel that it’s a pretty comprehensive list of considerations to properly plan the majority of estates. In this blog post, I want to highlight the section of the checklist that I probably spend the most time on with my clients. These are considerations that should be addressed in deciding how and to whom the estate should be distributed at death. Here’s an excerpt. Take a look. Unfortunately, our mortality rate remains at 100%. When it’s your time, who will receive your assets? Would it be prudent to place restrictions on how the gift is received? How will your estate best be used?If you have children, should it all pass to them and if so, are they responsible enough to accept the inheritance? If you do not have children, then be thoughtful about where you would be most pleased to see your assets distributed. Always consider the impact of your gifts and the legacy that you will leave by making them. When planning an estate, inheritance is a privilege, not a right. Do you regularly give to charity?Consider leaving a final gift in your estate documents or from your retirement accounts. In certain circumstances, it can provide substantial tax benefits. Do you have minor beneficiaries?Determine who will hold, manage and distribute these assets for the benefit of your children until they are financially responsible enough to accept the gift. Is a beneficiary receiving needs-based public benefits(SSI or Medi-Cal/Medicaid) that they need to keep? Consider a Supplemental Needs Trust provision to ensure that the funds are used only to supplement the benefits being received so the beneficiary is not disqualified. Do you have a “spendthrift” beneficiary?This is a child or intended beneficiary that has proven irresponsible with money, and that may benefit from restrictions or conditions being placed on the inheritance over time. Does a beneficiary struggle with alcohol, drug or gambling additions?It may be prudent to place conditions on the beneficiary’s receipt of the funds, and to allow a third-party to cut-off distributions if receipt of the funds would only hurt the beneficiary. 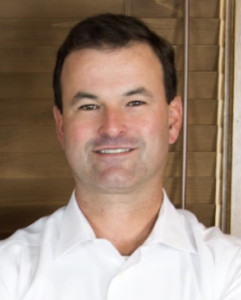 These questions are intended to get you thinking about the eventual distribution of your estate and the most prudent and responsible way to pass these assets down. If after reading this you have some concerns about the beneficiaries that you have chosen, or about the beneficiary you are planning to have receive a portion of your estate, feel free to give me a call to discuss them. We can look at your estate planning documents and remind you of the protections that we have already put in place, or we can discuss some options to deal with new concerns or change circumstances. It’s important that you honestly confront these concerns, so don’t hesitate to call if you have any questions. 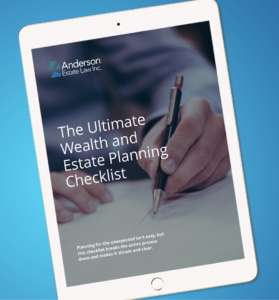 If it’s been three years or more since you prepared your estate plan, or if you have not created a written plan – click here to get your complete checklist.